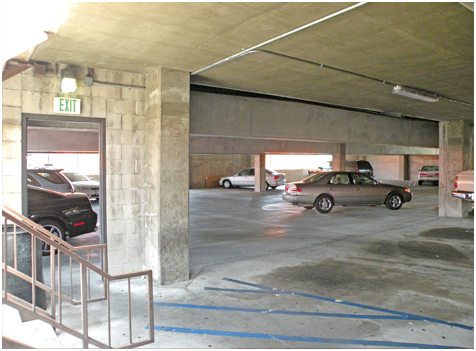 Los Angeles County Metropolitan Transportation Authority (METRO) selected Owen control teamed design services to provide a Design/Build for 2-level parking structure expansion and concrete pavement repair at Division 3, located at 630 W. Avenue 28, Los Angeles, CA 90065. The scope of work for Owen consists of engineering design, and construction administration necessary to complete the new parking structure expansion, renovation work according to Metro’s requirements. The new parking structure expansion was designed and constructed as a cast-in-place and post-tensioned concrete structure at the East end of the existing parking structure. The parking structure and foundations are designed in accordance with the requirements of International Building Code (18G) and the recommendations from the geotechnical report. The concrete pavement repair was also designed and constructed in accordance with the requirements shown on the performance drawings provided by Metro. Metro provided construction oversight services.